Councillor Kevin O'Keeffe has been chosen by Fianna Fáil as one of the party's two candidates in Cork East. 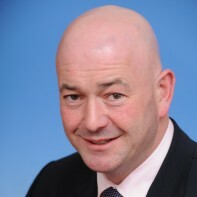 O'Keeffe was first co-opted on to Cork County Council in 1997 and has been re-elected at each subsequent local election, topping the poll in Fermoy in 1999 and 2004. O'Keeffe is the son of retiring Fianna Fáil TD, Ned O'Keeffe.